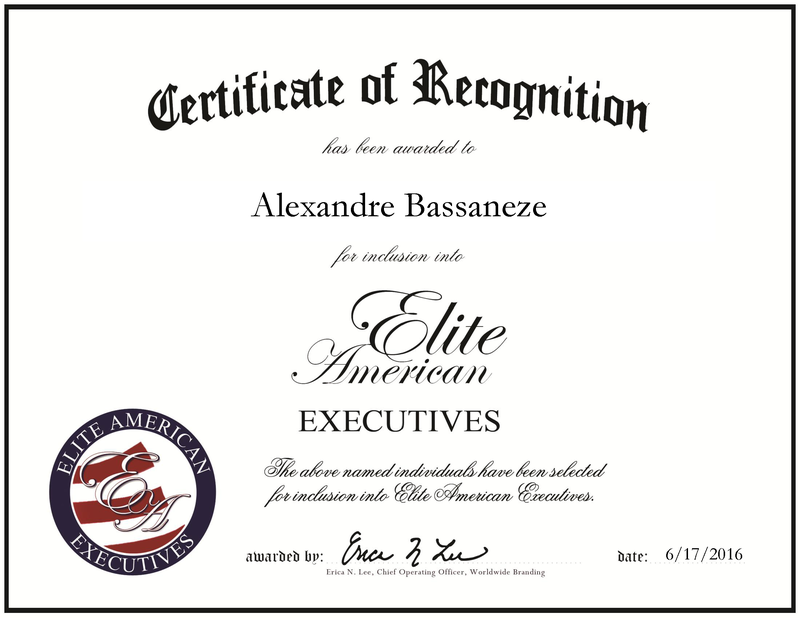 Houston, TX, June 17, 2016, Alexandre Bassaneze, Vice President of Sales and Marketing, has been recognized by Elite American Executives, for dedication, achievement and leadership in the oil and gas industry. Mr. Bassaneze’s latest position augments his 20 years of experience. In his current role for nearly two years, Mr. Bassaneze is looked to for his skills in organizational leadership, business understanding of complex and large companies and strategies. He is adept at managing and implementing projects. In order to accomplish these tasks, he prioritizes short-, medium- and long-term goals. Additionally, Mr. Bassaneze unites various departments to contribute to the success of the mission. He works closely with the president of Air Liquide Industrial US LP to coordinate sales, business administration, marketing, strategy and development. Since joining this role, one of his largest accomplishments has been reducing the turnover rate of the sales team through a redesign of the Sales Incentive Program. Hard work, focus, strategy and leadership have been the framework of which Mr. Bassaneze has built his success on. With an education containing an industrial engineering degree from the College of Brazil, a mechanical engineering degree from the University Center of FEI, Brazil and an MBA from the Getulio Vargas Foundation, he is well-equipped for his industry. After working in Brazil for many years, he made the move to the United States to advance his career. He remains affiliated with the Engineering and Architectural Society of Brazil. Looking toward the future, Mr. Bassaneze hopes to become a general manager for a large liquid organization. This entry was posted in Energy, Finance, Marketing, Oil / Energy, Sales and tagged business administration, industrial engineering, leader, mechanical engineering, oil and gas, organizational development, project management, sales. Bookmark the permalink.